For a very long time, Iron Man fans wondered why their favorite armor clad superhero was never featured in a movie like Superman, Batman, or even Spider-Man. Iron Man had everything that a popular superhero should have: awesome gadgets, a bevy of beauties, evil villains, and supportive sidekicks. Fans of the armored superhero got their wish fulfilled in the summer of 2008 when the first Iron Man movie was released.Iron Man was a blockbuster hit and soon there were talks of a trilogy. The sequel to the highly successful first installment released this summer with Robert Downey Jr. reprising his role as Iron Man. Iron Man 2 featured a new upgraded suit. The most important part of the Iron Man suit is the helmet. Tony Stark is able to fly, fight, and fire weapons through voice commands. 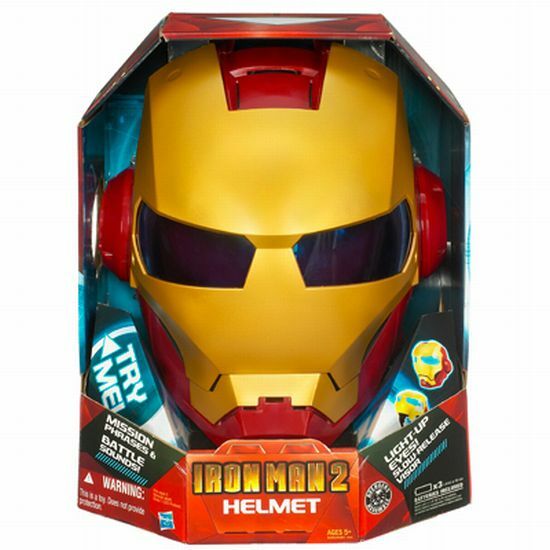 American toy company, Hasbro, has recreated the Iron Man 2 helmet. Our immediate review is that it looks super cool. Hasbro’s Iron Man 2 helmet may be a toy model but it has been designed and crafted just like the silver screen version. The helmet features the trademark yellow and red color combination with articulated lines and curves. Other design features include large circular ears and a tinted visor. When we say that the Iron Man 2 helmet has been modeled to imitate the movie version, we actually mean it. The model helmet does a lot of cool things that the movie helmet did. This is one reason why you should probably try it out. In the movie, the Iron Man helmet had a slow releasing visor that would slide into place when Tony Stark go into battle. The toy model features a similar slow release visor. When you wear the helmet and the visor slides into place, you would feel like Iron Man going into battle. Another cool feature of the Iron Man helmet is that when the user presses the Quick Mission button, the helmet reproduces popular movie phrases such as “Target engaged!” and “I am Iron Man!” Then there is a battle sound feature that lets out power-up, flight, and combat sounds. If you are in the mood to play the armor clad superhero, activating the Combat Missions button would let JARVIS brief you on a particular mission. If you are an Iron Man fan and enjoyed watching the movies, Hasbro’s Iron Man 2 helmet should make for a proud collector’s item. 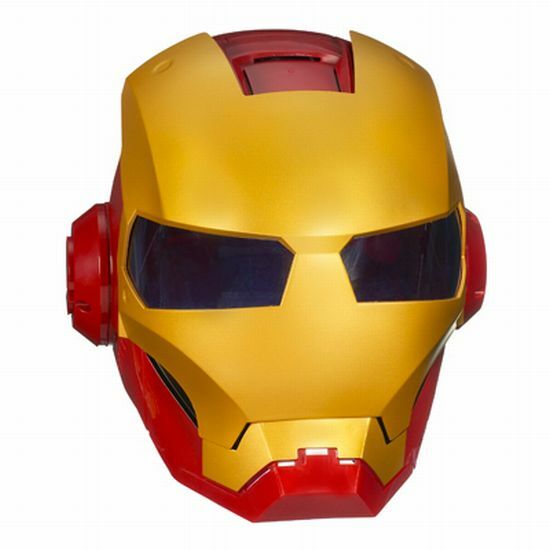 To avail the all new Iron Man 2 helmet, one has to pay $39.99 only. If you are a regular at watching Sci-Fi movies, what would you have to say about Star Wars Super Death Star Stormtrooper Varsity Jacket and X Men Wolverine Jacket?